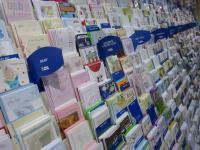 We are pleased for our major card supplier to be John Sands (Australia) Ltd, the premier card company in Australia. In addition we carry cards from For Art Sake, Phil Taylor, and Simson to provide a broad range of cards at various price points for all occassions. 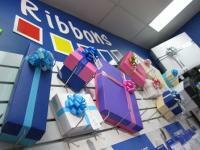 To wrap and decorate the gift we carry ribbons, bows and boxes from Gracious Greetings.